In 1897 Johnson Oatman, Jr. wrote what would become a classic hymn. It appeared in many of the hymn books that were used before power point became popular. It was a hymn that encouraged people in the midst of difficult times to count their blessings and be surprised by all that God had done for them. In looking for details on Oatman’s life, I came across one entry that said that he wrote more than 3,000 hymns while another stated the number as more than 5,500. Whichever is correct, he wrote a lot of hymns. His best known is this simple call for Christians to count their blessings. On Christmas morning I woke up with a small lump on my face. My wife suggested that I go to the emergency department at the hospital but there was no way that I was spending Christmas Day in emerge. I waited a couple of days before visiting my doctor but by then the infection had spread to cover a good section of that side of my face. The doctor put me on a heavy dose of antibiotics which shrank the infection but didn’t remove it. What the meds did do was make me sick for the ten days that I was on them. I still have a small lump on my face. Shortly after New Years my wife discovered mice in our house. We set traps and caught three of them but they had already done considerable damage. All of our cupboards had to be cleaned and a lot of food had to be thrown out. We are still trying to get our kitchen back to normal. I share these experiences to show that like you problems are a part of our lives too. They come and go and we are never completely free of them. The problems that we faced are pretty minor compared to some of the really tough times that other people go through. Death of loved ones, serious illness, loss of a job, problem children, can bring sorrow and sadness into people’s lives at a very deep level. Over the past few weeks I have met with a number of pastors. As they have shared with me what has been happening in their churches, I have been reminded that the church isn’t exempt from both kinds of problems – those that are more annoying than serious and those that threaten the well-being of the church. It is so easy to become discouraged and even a little angry when the well-being of our church is threatened. That threat can come from within and without but whatever their source life would be so much more pleasant without them. Over the course of my ministry life, I have suffered many of the problems that a pastor can suffer. I have had key people move, leaving what seemed at the time to be enormous holes that couldn’t be filled. I have had serious building problems that stretched our financial resources to the limits. I have had church members, whom I had grown to love, die leaving not only a hole in the church but in my heart as well. I have had people attempt to create disunity and even splits within the church family. At the heart of church leadership is solving problems. When the problems seem overwhelming, I have found it helpful to follow Oatman’s advice. I need to step back from the problems and spend some time counting my blessings because there is never a time when the blessings don’t outweigh the problems. 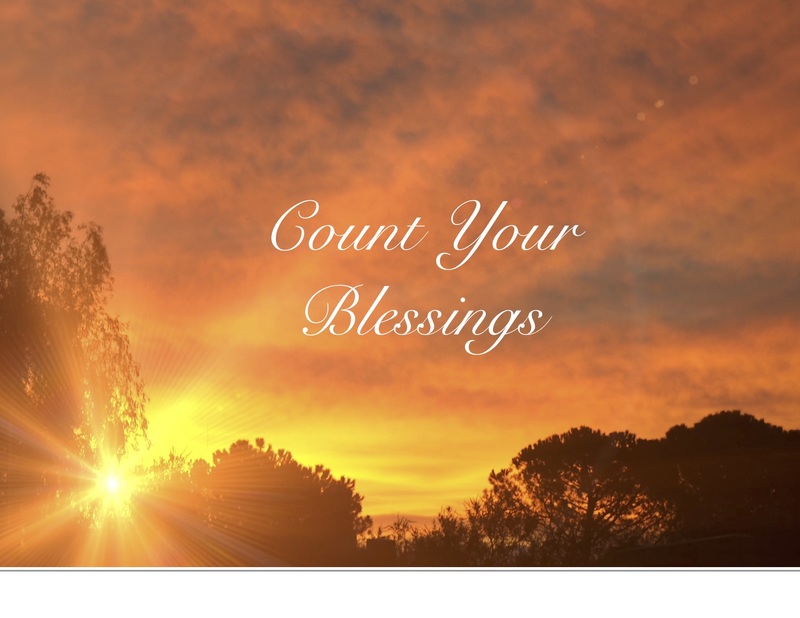 The list could go on and on – spiritual blessings, material blessings, relational blessings. They really do outweigh the problems. I just need to remind myself that they are there. So if you are going through some tough times right now, take Oatman’s advice. Take a few minutes and count your blessings. It probably will surprise you what the Lord has done.